Tottenham will be without Harry Kane for their clash with Huddersfield and Dele Alli faces a late fitness test ahead of the game. 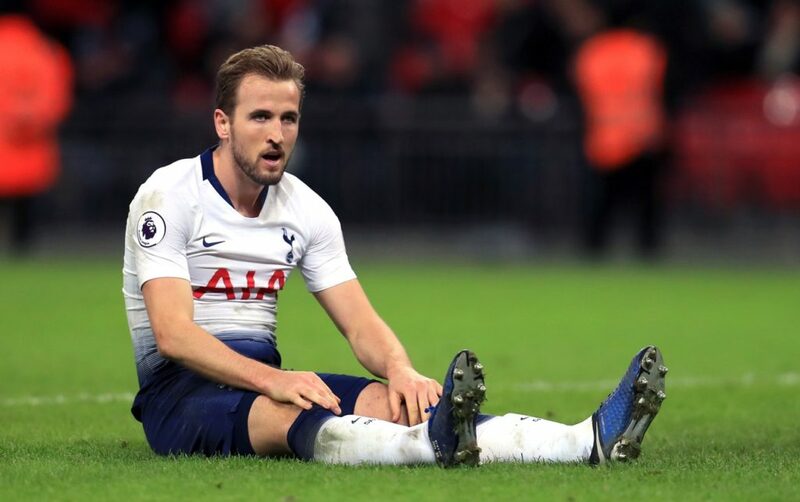 England skipper Kane hobbled off in the second half of Spurs’ Champions League win over Manchester City, with the Tottenham medical team revealing he suffered a ‘significant lateral ligament injury’ to his left ankle. Mauricio Pochettino is also sweating on the fitness of Alli, who fractured a bone in his hand on Tuesday night and will continue to be assessed ahead of the visit of the Terriers. It’s a growing injury list for Pochettino to deal with as Serge Aurier (hamstring), Eric Dier (hip flexor) and Erik Lamela (hamstring) are also sidelined, while Vincent Janssen is still not ready to return. Huddersfield are also facing an anxious wait on fitness of several key players and Jan Siewert has indicated he will ring the changes, with the Terriers looking to end a five-game losing run. Goalkeeper Ben Hamer is the only confirmed starter, while the likes of on-loan Isaac Mbenza will be among a number of players facing late fitness tests. Tottenham are looking to do the double over Huddersfield this term, having won 2-0 at the John Smith’s Stadium back in September, and have won all three Premier League meetings without conceding a goal. Chelsea are said to have joined a long list of clubs looking to take Nicolas Pepe away from Lille this summer. Liverpool could move for Lyon captain Nabil Fekir in the summer following news that he has split from his agent.